Pfisterer Sicon Mechanical Shearbolt Cable Lugs are suitable for the termination of all LV, MV and HV cables from 11kV – 33kV up to 66kV. Pfisterer’s shearbolt cable lugs have a step-less design feature which allows for the maximum conductor clamping force to be achieved, even with Class 5 fine stranded conductors. 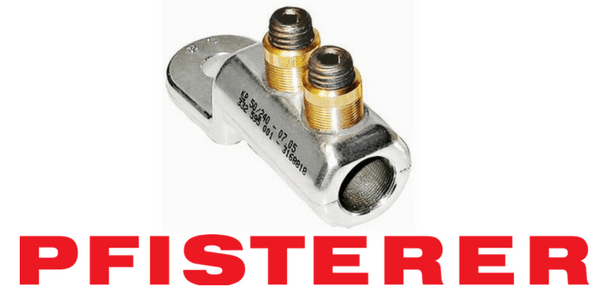 Pfisterer shearbolt cable lugs are suitable for both solid and stranded aluminium, copper conductors or mineral insulated solid copper cables (MICC) and are internally grooved to aid electrical connection and protect against conductor oxidisation. Pfisterer’s Sicon mechanical shearbolt cable lugs are compact with rounded edges, ensuring all types of coldshrink and heatshrink products can be used and smooth breakage of the shear bolt simplifies the tightening process. 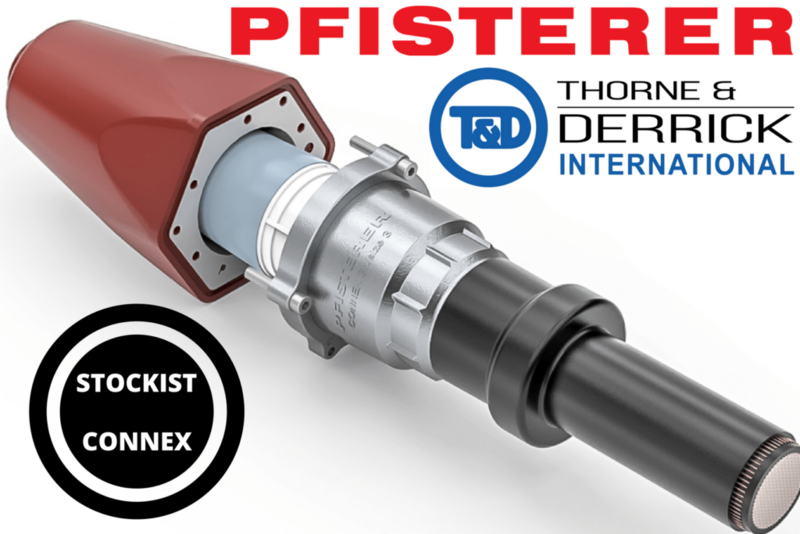 Pfisterer’s Sicon mechanical shearbolt cable lugs are compact with rounded edges, ensuring all types of coldshrink and heatshrink joints/terminations can be used and smooth breakage of the shear bolt simplifies the connector tightening process for the cable jointer. 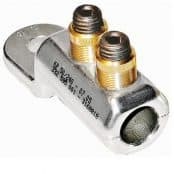 Additionally the shear bolt breaks off flush with the terminal body, avoiding the need for port hole filling and the blocked design provides an oil or water barrier. Strip the high voltage cable insulation for the distance specified in the cable jointing procedure. With HV copper cable conductors, it may be necessary to wrap them with brass gauze. With HV solid shaped aluminium conductors, it may be necessary to straighten or twist the core using special cable core twisting tools before inserting them into the Sicon connector. When tightening/shearing the bolts the HV connector can be held with an insulated holding tool. To prevent HV cable core bending and damage to the insulation whilst shearing the bolts, always hold the body of the Sicon connector with a grip device before shearing the bolts. On completion of the Sicon connector installation, recover all the sheared off bolt heads and count them to check that the number of heads recovered is the same as the number of bolts fitted. This ensures that the cable jointer has not trapped bolt heads, for example inside the insulation tubes. Check that all bolts have sheared correctly, at or just below the surface of the connector. According to IEC 60228 conductors of MV HV insulated cables are subdivided into 4 classes. These conductors include solid and stranded copper, aluminium and aluminium alloy conductors in cables for fixed installations and flexible copper conductors for connection of cable to high voltage electrical equipment for transformers, generators and switchgear.